Start the year with a boost of healthy energy! Time to detox. 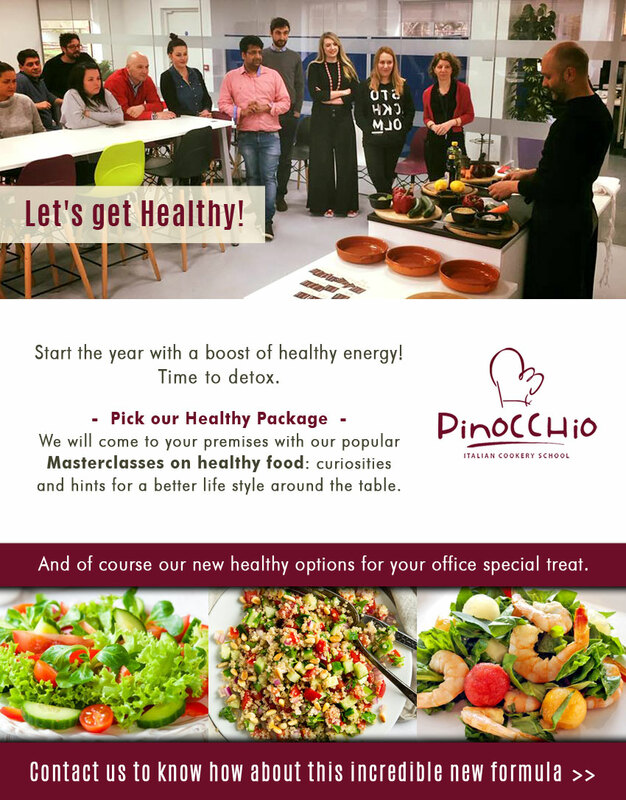 Pick our Healthy Package – We will come to your premises with our popular Masterclasses on healthy food: curiosities and hints for a better life style around the table. And of course our new healthy options for your office special treat.